Complete list of lessons and pages on this site. Related YouTube videos will have an index number in the name of the video - so just look for that number below and you should find everything ok :) Or you could use the seach box above, but many times a big list like this seems to be easier! Just click on the prefix below and it will zoom you down the page to that area! AA-777 • Justin Sandercoe Lessons, Meetups & Clinics! ∆ - note that these were filmed before (some WAY before) the Songbook was written so may have slight differences to the book. I plan to re-film these at some point in the future and bring them up to date and improve the quality. ES-011 • Tune Your Guitar Using the "5th Fret Technique"
GG-600 • Recording set up for reviews. JA-004 • Getting A Real Book? PR-667 • DVD Download Page (ISO Files) - burn your own DVD's from these big files! PR-665 • DVD Downloads (M4V files) - for portable devices, iPhones and stuff. Is all at Cafe Press - they do all the printing and delivery. Good quality stuff! We Came As Strangers - Recipe For Adventure - Justin's new band, rocky pop folk (2013). We Came As Strangers - Recipe For Adventure TAB BOOK - full TABs of every part of every song! QT-006 • Always Ask Why? Demand proof! QT-014 • What The Listener Hears? QT-016 • Don't Play Over The Singer! QT-022 • Sock Neck Mute! SC-504 • Why Use Modes? ST-322 • Sultans Of Swing - Dire Straits <<< In the Rock Songbook, full TAB! SB-327 • Back In Black - AC/DC *Rock Songbook! TE-001 • Why Technique Practice Is Important, but often overdone! 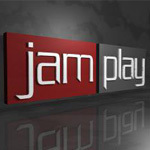 If you need more lessons than I have here I recommend that you check out JamPlay, they have over 4200 lessons from 74 teachers including legends like Brent Mason, Bumblefoot and Steve Stevens. I like to think I have the best lessons around, but I'm just one guy and can't do everything, and I think these guys are the 'best of the rest' for great value online lessons. Special Offer for justinguitar students - get a full day free to check it out!